The big event for Thursday was getting the 17 of us together at a park for family photos. It all went pretty well even though it took a very long time to work us all in. Each family had a color that they all wore. My family was red. We also had green, blue, yellow and purple. For some of the pictures we changed into white shirts. The photographer was very patient with us. We found him through a web search of photographers in the area. My wife wrote several explaining what we were looking for. He was the only one who responded. We have not gotten the pictures back yet, but we were very pleased with the way he handled the large group. We returned to the house to grab a bite to eat and recharge for a minute. I snuck upstairs and grabbed a 15 minute nap. 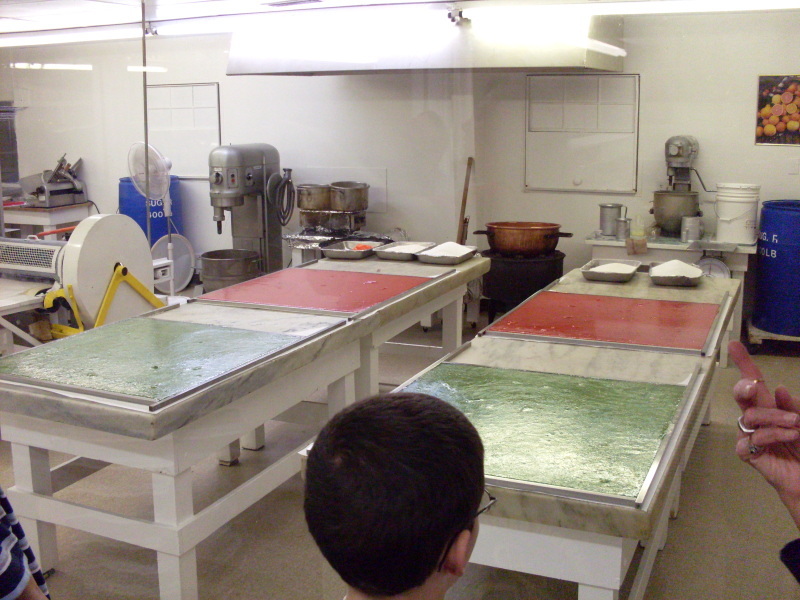 The next thing on the agenda was a candy factory. We visited Davidson’s of Dundee. They make citrus candy. We were given a short tour of the factory and then let loose to check out their products. Along with candy they sold different citrus fruits. We walked away with 2 bags of different oranges. The best part was the free samples. That evening was our time to eat our Christmas dinner as a family and open gifts. We only brought gifts for the nieces and nephews. But Mom could not resist buying gifts for some of us. 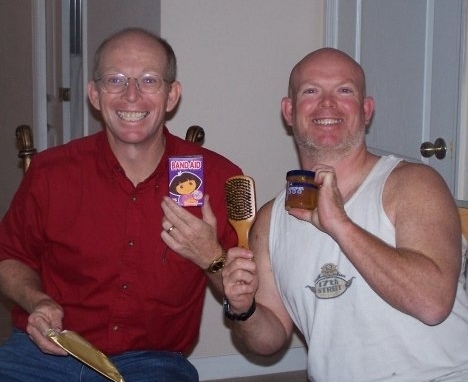 My bald brother got a brush and hair gel from Mom. She got a plastic nurses kit for my brother who graduated from nursing school. I got a toy cell phone to replace my iPhone with if it ever dies again. She also gave me some Dora the Explorer band aids to help with a common running injury that involves my chest. We had our turkey dinner. The turkey was not set out to thaw early enough. It took much longer to cook than anticipated. I am not sure when we finally finished eating, but it was much later than we expected. My little brother is working on the Couch to 5K running program. We went out that night to run together. I was going to show him how to run slower so that he can build up his aerobic capacity more easily. It did not take long to realize that I probably could not teach him to go any slower. Walking would have been faster than we were running. But, that is fine. When starting out to run most people push themselves and go too fast. That certainly was not his problem. I love those gifts that your Mom gave you… what a Funny and Witty gal! I guess that Hair Brush is really a buffer for the noggin. And the Dora bandaids are to DIE for! I think you could start a new trend in the Running Community with those bandaids. Great comment about the photographer… I think I might add that “service” when I start to shoot professionally. I guess I missed it that night the gifts were being handed out, but I just found out today that Mom gave my sister-in-law a cookbook. The joke there is that she does so little cooking that they probably don’t even own a pan to cook anything in.